(BLOOMINGTON) - Bloomington residents might receive a vehicle by officials in a colorful green and blue car roaming the city's streets over the next year. 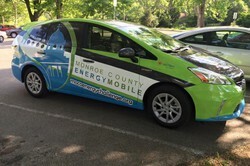 The EnergyMobile is part of the Monroe County Energy Challenge - an effort to reduce the community's energy consumption in order to win a $5 million dollar Georgetown University Energy Prize. The vehicle was purchased with a generous grant from Vectren Energy. There are 49 other communities looking to win the $5 million dollar prize. So to beat out those other communities residents will see the EnergyMobile in neighborhoods throughout Bloomington with its occupants offering free energy assessments to residents. Bloomington Sustainability Coordinator Jacqui Bauer says the goal is for residents to reduce energy consumption by 10 percent by 2016. 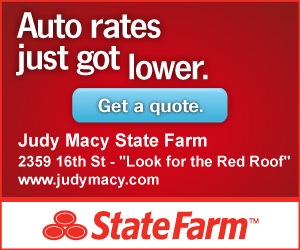 "At the same time, we'll improve our quality of life, reduce our environmental impact, and save money too," she added. " 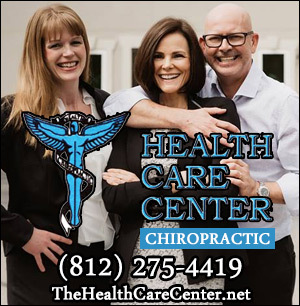 Every household in the county is included in the competition, which means everyone can contribute to the effort in some way." Anyone in the community can request the EnergyMobile for events or outreach opportunities in neighborhoods, workplaces, or for other community groups by Visit www.mocoenergychallenge.org or email mocoenergychallenge@gmail.com. The Monroe County Energy Challenge (MCEC) is a joint effort of the City of Bloomington, the Towns of Ellettsville and Stinesville, Monroe County Government, the Monroe County School Corporation, the Richland Bean-Blossom School Corporation, the Indiana University Office of Sustainability, Ivy Tech, the South Central Community Action Program, Vectren Energy, South Central Indiana REMC, and many others.